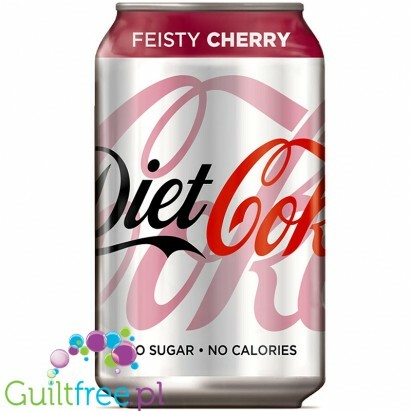 Diet Cherry Coke - loved the taste of cherry Coca Cola without calories. Net volume 330ml. 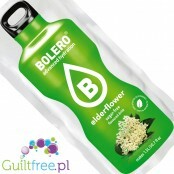 ; 1,09 pln/100ml. 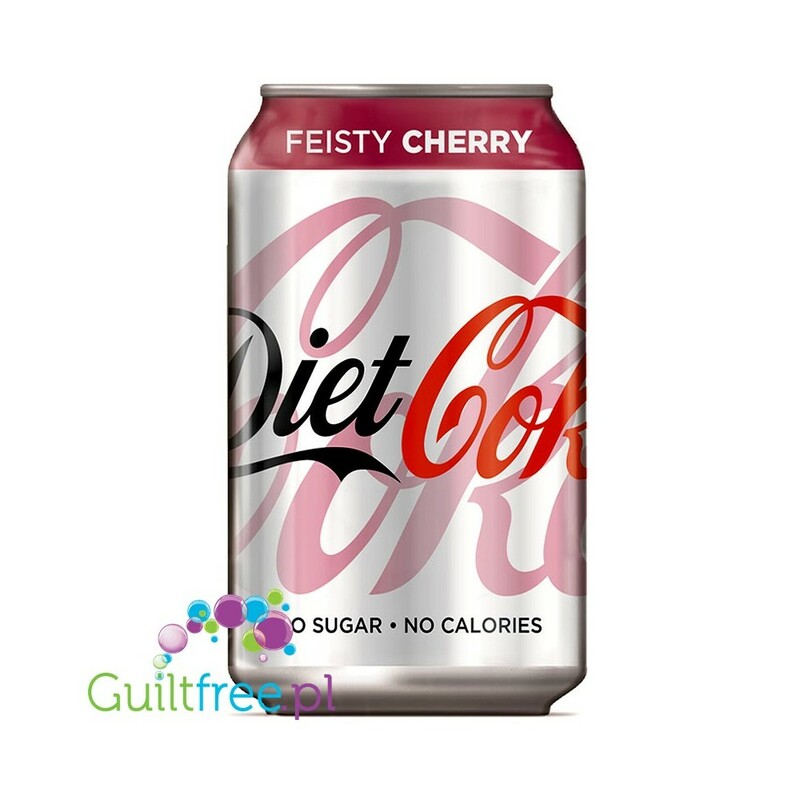 The cult taste of Coca Cola cherry - without calories. Ingredients: carbonated water, natural aromas containing caffeine, caramel dye E150d, citric acid, sweeteners (aspartame, acesulfame K), phosphoric acid, acidity regulator E331, tartaric acid E334. The product contains sweeteners. It contains a source of phenylalanine. Nutritional values per 100ml of product: 1kcal, 0g protein, 0g carbohydrates, 0g fats, trace amounts of sodium. Storage: protect against a closed can before heating. 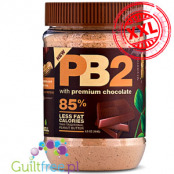 Funky Flavors are sugar-free, fat-free, intense and highly concentrated pure food flavors. Ideal for protein supplements, homemade protein bars, ice cream, diet cocktails, shakes, yoghurts and milk desserts. 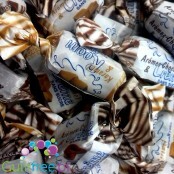 Concentrated aromas are ideal for giving intense, natural flavor and aroma.Irish Cream Aroma. Vegan giga-ciacho protein - Complete Cookie is about 11cm in diameter and weighs almost 2 times more than the average protein bar. 16g of protein, 6g of fiber! Fragile in the middle of the cake, the Complete Cookie Double Chocolate delights and enjoys 100% natural vegan composition. 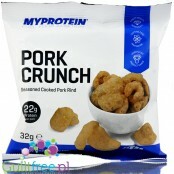 The ideal keto snack - traditional British pork crunch - pork crisps is over 62% pure protein and less than 4% carbohydrates. Delicious, crispy chips satisfy for long and a great alternative to classic crisps. 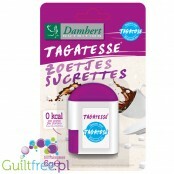 Cocoa instant sweetened xylitol to prepare a delicious chocolate drink with a touch of vanilla and orange - perfect with either oatmeal or other vegetable or cow's milk. 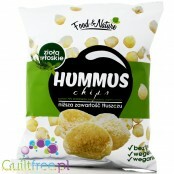 Gluten-free organic crisps with basil, oregano and garlic from oriental chickpeas with reduced fat content - are 40 percent less fat than traditional fried potato chips.